"This research is aimed to finding out how far Chinese traditional view about marriage influences middle-aged single women’ s anxiety. According to Tillich (1952), anxiety could happen if someone is aware that his or her being was covered by nonbeing. ln the Chinese society, a woman who lives single is hard to get acknowledgment from the society and the family. This circumstances happened because in the Chinese society, marriage was considered as one of the most important duty that people had to do. A single person, especially woman, will receive pressures from the society and family because of her single singleness. Those pressures cause meaningless feelings inside herself, and that feeling will appear in a form of anxiety. This research used in-depth interview methods toward four women respondents. 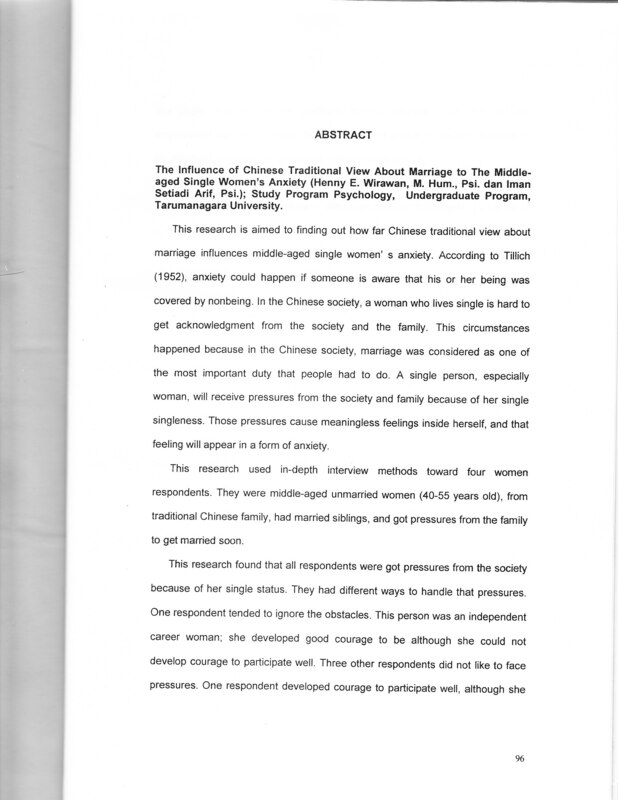 They were middle-aged unmarried women (40-55 years old), from traditional Chinese family, had married siblings, and got pressures from the family to get married soon. 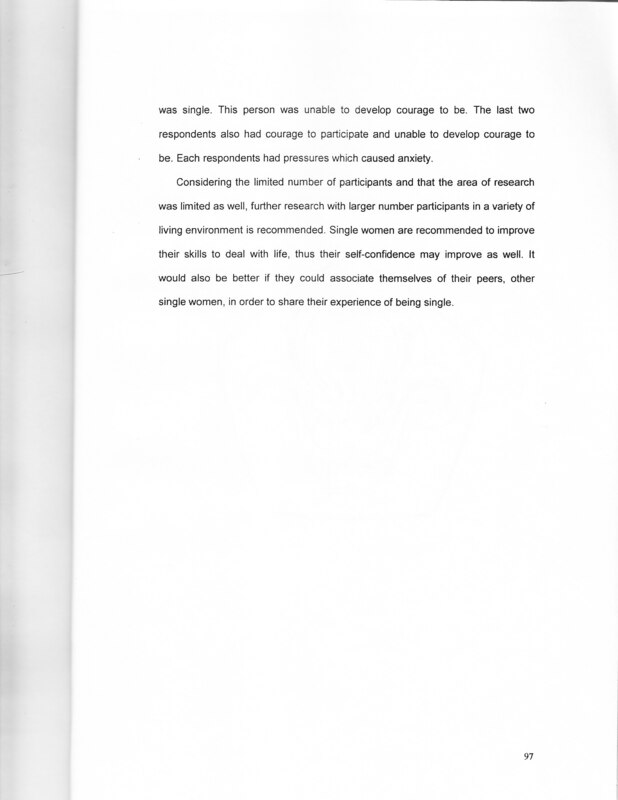 This research found that all respondents were got pressures from the society because of her single status. They had different ways to handle that pressures. One respondent tended to ignore the obstacles. This person was an independent career woman; she developed good courage to be although she could not develop courage to participate well. Three other respondents did not like to face pressures. One respondent developed courage to participate well, although she"